Gold Eagle provides premium, trusted products that keep things people are passionate about looking and operating like new. We listen to the voice of our Customers and strive to exceed their expectations by continually improving. We are a people first organization and understand that our corporate culture and all values start with our people. An organization based on trust that enables safety and respect for all team members remains critical to our business success. While recognizing our responsibility to the success of the business, we will think of our team members and their well-being first. Balance in One’s Life means Health, Happiness, & Productivity. Commitment to our corporate WHY, our Stakeholders, our special culture, and most importantly to each other. We are known throughout our history for exceptional customer service. It is vital, in this ever-changing business climate, to understand & meet needs while enhancing the shopping experience for both our customers and consumers. 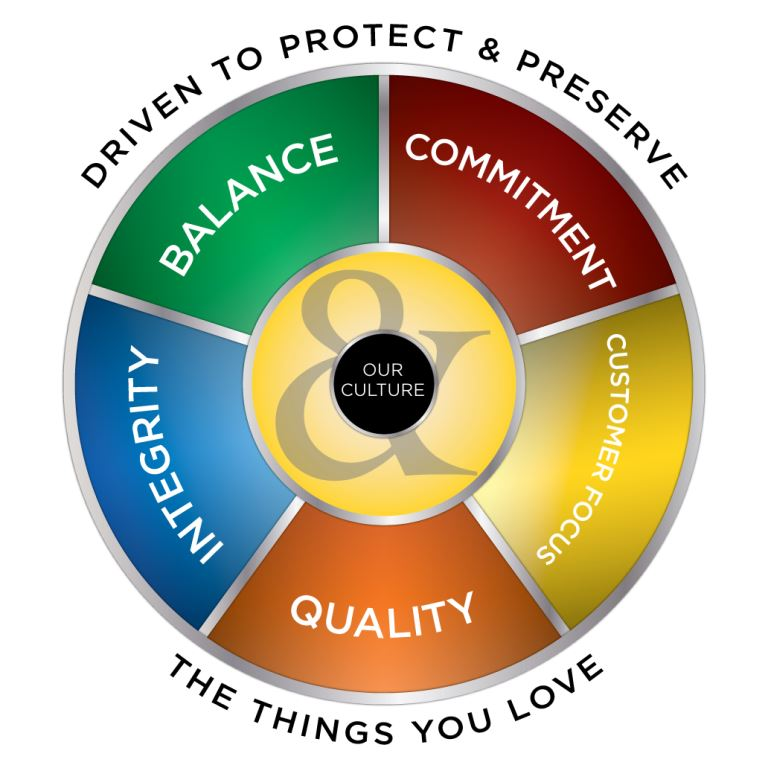 Acting with integrity in all interactions and all that we do defines our company, our people, and the trust we work so hard to earn with all stakeholders. Quality is the foundation for all values and corporate success.